A 1973 release originally titled On the Gulf, this album from American sextet Maelstrom is representative of what myriad groups were attempting in the early 70s following the explosion of progressive rock that hit the planet. The influence of early Gentle Giant, Genesis, and King Crimson can be heard, though not many American bands were even this adventurous at the time. Traces of late 60s psych, Canterbury, avant-garde, and even Zappa are also fused within these grooves, and in some ways this could be considered the forebear of what Dan Britton is doing today with Deluge Grander. It’s colorful, eclectic, dynamic, and unpredictable, with music alternating between the heavenly and the diabolical. Countering the heavier, Mellotron-laced passages are lighter, pastoral washes that evoke early Strawbs (singer/guitarist Jeff McMullen even sounds a lot like Dave Cousins). Besides the standard prog rock ensemble, Maelstrom also employed an impressive arsenal of instruments that included sax, vibes, and even harmonica, and all of it is put to full use across the album’s eight tracks. These aren’t toe-tappers, and several of the arrangements lose their way at the end, so don’t expect any Ivor Novello awards here. As a bonus, two songs are included from a 1980 reformation (as a quartet) that was entirely instrumental and much more keyboard oriented. If the original Maelstrom was a bit behind the times stylistically, this later incarnation was hopelessly doomed, even if the songs themselves have merit. Kudos to Black Widow for resurrecting a flawed but daring effort. Black Widow has unearthed an extremely rare and overlooked gem from the early 70s. 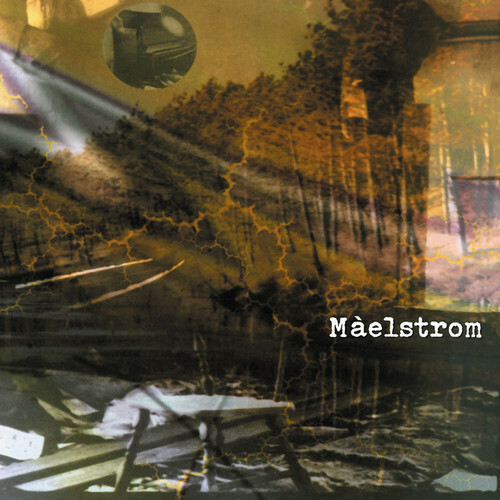 Maelstrom was formed and led by the late Roberts Owen (guitars, piano, Mellotron, and sax), James Larner (flute, vibraphone, marimbas, piano, and harmonica), Paul Klotzbier (bass), Mark Knox (Hammond organ, Mellotron, and harpsichord), Jim Miller (percussion), and Jeff McMullen (lead vocals and electric guitar). They recorded their one and only release as a private pressing at Fort Walton Beach, Florida, hence the album's original title. Why this record never received attention is a mystery as the eight songs are an eclectic combination of symphonic and Canterbury progressive rock. Perhaps they were ahead of their time or their LP got buried in the mass of progressive music coming from Europe in 1973 (ELP, Genesis, Gentle Giant, King Crimson, VDGG, Le Orme, Ashra, Klaus Schulze, Popol Vuh, etc.). Nevertheless, Black Moon Records reissued On the Gulf on CD in 1997 with the title changed to Maelstrom for some odd reason. On the present reissue, Black Widow added two bonus instrumentals recorded live in 1980 at “The Three Rivers Festival” in Fort Wayne, Indiana. The disc opens with “Ceres,” a very pleasant song with flute, Hammond organ, guitar, and high tenor vocals. Halfway through it turns sinister with Mellotron and chanting, something common these days, but innovative in the 70s. There is any number of comparisons that you can draw with the music, but they are all subtle tinges of ELP, VDGG, Genesis, etc. Maelstrom was unique, especially considering that US bands at the time were more rock oriented (Jefferson Airplane, New Riders of the Purple Sage, and Grateful Dead) and not exploring the limits of progressive music, though Carlos Santana and Frank Zappa were beginning to experiment. A couple of songs stand out for me: “Chronicles” and “Below the Line.” The two live tracks, recorded seven years later, showcase a different side to the band, with only Roberts and Paul from the original Maelstrom. “Opus None” is an organ and keyboard dominated classical/rock fusion number that shows the ELP influence, but during the last two minutes an analog synth comes in with the standard sine waves of the 70s, which detracts from the music. It just did not work. Moreover, the closing track “Genesis to Geneva” has a dated sound, unlike the original LP, mainly due once again to the unimaginative use of analog synths. Though this last track does rock, there is still a fair bit of keyboard noodling with no direction. Overall, a great find by Black Widow.